It created a buzz in D.C. before the announcement. President Barack Obama on Tuesday announced his intention to name Julia A. Pierson as the 23rd Director of the U.S. Secret Service and the first woman to head the agency. President Barack Obama has announced his intention to name Julia A. Pierson as the 23rd Director of the United States Secret Service. Julia Pierson is a career law enforcement executive with more than 30 years of experience with the United States Secret Service. Ms. Pierson’s extensive knowledge of agency stems from her leadership of high impact initiatives in both aspects of its core mission of protection and investigations along with her skills in strategic planning, risk management, human capital management, program management and budget development and execution. Over the past year, Ms. Pierson led the organization’s efforts to enhance professionalism throughout the workforce by representing the Secret Service on a working group of senior level executives. Since assuming the role of Chief of Staff in 2008, her responsibilities included overseeing the Secret Service’s complex information technology and business process modernization efforts. Earlier in her career, Ms. Pierson served as the Assistant Director of the Office of Human Resources and Training (HRT). In that position, Ms. Pierson was responsible for overseeing all human resource and training programs for the Secret Service. Ms. Pierson oversaw organizational policy development and strategic management of the agency’s Workforce Planning Programs, Personnel Division, Security Clearance Division and the James J. Rowley Training Center basic and operational training programs. 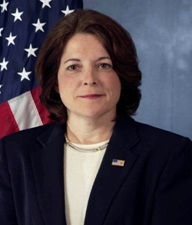 Ms. Pierson also served as Deputy Assistant Director in the Office of Protective Operations, where she was responsible for daily security operations, workforce readiness and strategic planning to support the Presidential and Vice Presidential Protective Divisions, Dignitary Protective Division, as well as National Special Security Events and Presidential Campaign activities. Beyond her operational experience, Ms. Pierson served as the Deputy Assistant Director in the Office of Administration, where she oversaw the agency’s budget and all administrative operations including strategic planning, budgeting, finance, procurement, and property management activities. Ms. Pierson served as the Assistant Special Agent in Charge in the Tampa Field Office and was responsible for directing Secret Service investigative and protective activities in western Florida. Ms. Pierson established an Electronic Crimes Task Force to investigate cyber crimes in the Tampa Bay area. Ms. Pierson is a graduate of the University of Central Florida and has completed graduate course studies in public policy at The George Washington University. She has been a member of the federal Senior Executive Service (SES) since 2003 and was the recipient of an SES Presidential Meritorious Executive Rank Award in 2008. A long time proponent of law enforcement officers and their families, Ms. Pierson has been actively involved in supporting the National Law Enforcement Memorial and Concerns of Police Survivors (COPS). 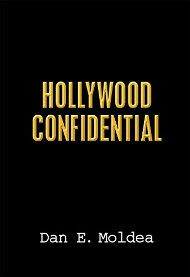 A native of Orlando, Florida, Ms. Pierson began her career in the Secret Service as a special agent assigned to the Miami and Orlando field offices. Prior to joining the Secret Service, Ms. Pierson served as a police officer in Orlando, Florida. Posted: 3/27/13 at 3:31 PM under Milestone, News Story.